Many years ago I coined the phrase “Pillar Article” or sometimes called, “Pillar Content“, to describe how to create great blog content. To my surprise, it really caught on in the blogging about blogging community and many thousands of bloggers use it to describe what good blog content is. The video at the end of this blog post has an introduction to the Pillar Article concept, including formats you can use to attempt to increase your chances of creating a pillar article. It is a couple of years old, from a presentation I did during my long hair days, but it’s still a fantastic introduction to this idea (and it’s only 5 minutes long, so watch it). Is The Pillar Concept Still Valid? When I first wrote about the Pillar Article, some of the formats I suggested included the “How To”, “List”, “Definition” and “Opinion” formats for blog posts. All of these are still valid and still effective, but it’s pretty clear the internet has become a lot more crowded since then. Because of this, just doing the basics when you use these formats may not be enough to trigger a “pillar event”. The most important outcome is traffic. A Pillar Effect usually includes an initial rush of audience, followed by a long term stable stream of traffic, usually driven by search results, but also from all the different places online that link to it (called referral traffic in your web stats). Side benefits from a pillar effect may also include ongoing sales of your product or an affiliate product from within the article, a stream of new newsletter subscribers coming from traffic to the article, bookmarking of your site and an overall increase to your repeat daily readership and improved brand recognition. There are varying levels of the “pillar effect”, and you may or may not enjoy every outcome above. The most important thing is that traffic comes and it keeps coming long term, even if you just let that article sit there. It’s safe to say that most blogs on average do not enjoy pillar effects with every article produced. In my own experience, maybe one article a month at best gets this result on a scale that matters to my traffic stats. It has become harder to trigger the pillar outcome compared to the early days of blogging, however there is always more we can do to go after the result. The key is knowing what formats and techniques work best, especially in today’s online environment, and being willing to put in the extra effort required to get the result. The Internet is more crowded, more content is being created by more people on more websites. Due to this, attention deficit sets in, so you need to do more to gain attention. People are used to a multimedia web, not just basic text and graphics, they expect more as a standard. The way content is consumed and created has changed – mobile, itunes, youtube and the convergence of old media (TV, radio, newspapers, magazines) as vehicles to distribute new media, or simply replaced by new media, has everyone scrambling to become multi-disciplinary online media producers. That’s hard work, but the people who do it consistently win, or at least have a bigger impact. In short, just writing content using basic text-only formats, while a great start, may not be enough. A lot of it comes down to the quality of your competition too. Many small niches can enjoy streams of ongoing traffic from Google search only, if they hit the right topic/keywords and get some incoming links, IF there are not any other quality sources of information. No matter what niche you are in, preparing for things to become more crowded and doing a better job with your potential pillar content today, is a good practice. To help you with this objective, here are my suggestions on how to create pillar effects with your blog content, in today’s multimedia and social media driven world wide web…. Here are four NEW formats you can leverage to give yourself a better chance of creating pillar articles. The traditional list format has always been a winner. Write a paragraph or two, list seven dot points of information and a concluding paragraph, and you are done. 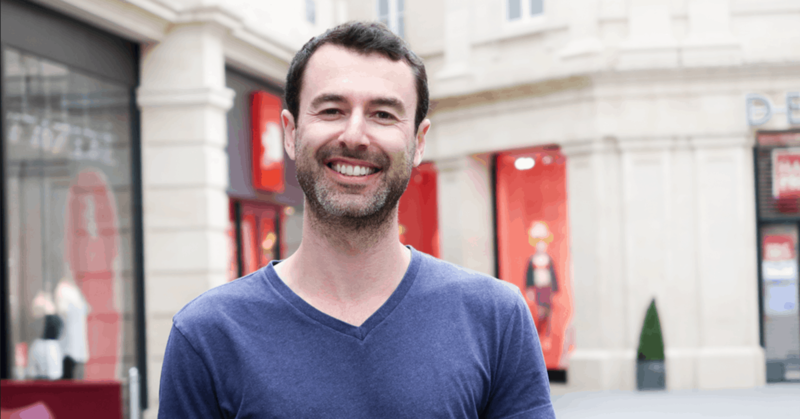 That’s still a great format, but if you want to increase your chances of bringing in rivers of traffic, rather than just trickles, you need to super charge your lists. To do this, go big and go multimedia. Instead of the top 10, give people the top 50 or top 100. Use pictures to go with every point, especially if your list is about people, because then you can include their photos. For example, in a niche I love, tennis, you could create the “top 50 best tennis players of the last 100 years“, one for men and for women. Write a few highlight sentences about each player and why they are in the list, with a photograph, and you have a potential pillar article ready to go. You can replicate something like this in every niche. On this blog I could do a list of the top 50 most successful self made internet millionaires (*scribbles note on to-do list*). To take it to the next level, use multimedia like video when making mega-lists. For some great examples from the music industry, take a look at the top lists on NME.com, for example, The 50 Worst Music Videos Ever (note the 2.5K facebook likes too). There are countless ideas you can use for the Mega-List format, and it will always out perform a small plain text list. Of course it’s no small task to create such a list, but I bet if you produced one a month it would do more for your traffic than writing small lower quality articles every day. The infographic is a style of content that in recent years has risen to prominence. It’s built perfectly for viral distribution and thus produces pillar effects almost effortlessly. The challenge is putting a good one together. An infographic gathers statistics or information and presents it in a large flowchart graphic, using compelling style and imagery. They are always big, sometimes several pages long. The best are incredibly interesting because they contain compelling information and the visual presentation grabs your attention. Providing embed code to copy and paste, so other people can post your infographic to their website or blog, is the real secret behind the success of this content format. With each embed of your graphic, you get a link back to your site for traffic and SEO benefit, plus the kudos that comes from being the source of a potentially industry defining information source. My recent post on why you should switch to a stand up desk circulated throughout online media a couple of years ago. 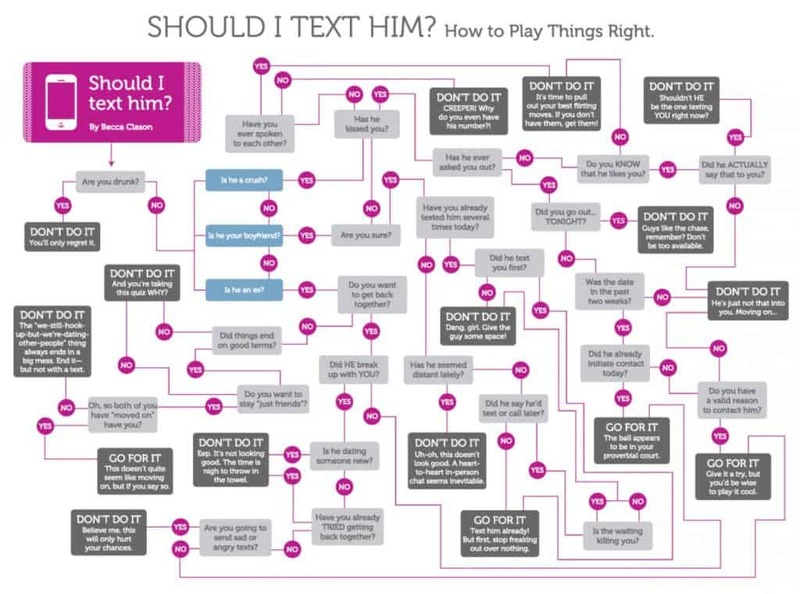 Another very popular infographic that has been viewed more than half a million times (it is the top infographic on Visual.ly), is the Should I Text Him flowchart. To create an infographic I suggest first you curate your data. Know what information you want to present, then find the creative person to put together the graphics, unless of course you are graphically talented yourself. A resource to help you produce an infographic by yourself is http://infogr.am/. This site provides an entire graphic suite and editor to help you design and compile your inforgraphic. Thanks to Blaine Moore for sharing this resource with me. This one technique alone may be enough to put your blog on the map. Do not underestimate the power of a virally shared infographic (*again, scribbles down note on to-do list*). The “How-To” article is the original, and in my opinion, still the best format for a Pillar Article. While a good chunk of the Internet is used for entertainment purposes, an equally good chunk of people use it to solve problems. That’s where your blog and your how-to articles come in. Provide the step-by-step instructions on how to do something and you have a winning formula for a popular blog post. To up the ante and bring the how-to format into line with today’s multimedia world wide web, integrating all formats of information distribution is a must. There are more modalities, for example some people learn best through experiential learning (actually doing something physically), but it’s hard to do that through a computer screen. If you want to reach more people then you have to cater to as many modalities as possible. For example right now, people who are not fully engaged with this content are probably not readers. They might have just watched the video at the start, scanned the article text and that was that. Readers on the other hand, skipped the video and went straight to the words. On the internet we have the potential to give people all these different modalities. You can even use multiple formats to service each different format, for example providing a text blog post and a text PDF transcript with pictures and graphs. To have maximum impact with this article you are reading now, I should make the audio track from my video available as a direct download MP3, a podcast on my iTunes channel and transcribe it into a PDF with pictures along with the content from this article for download and easy printing. I could also add to the MP3 version by reading out the words of this article too. Phew, that’s a lot content and a lot of work! And therein lies the biggest problem for most people producing this level of “How-To” content – there’s a lot you need to produce. Having helpers to transcribe your work, source pictures, upload files and edit video and audio certainly helps, but it’s still no simple task. Of course that’s what makes it so worthwhile. Most people don’t put in the effort, so if you produce amazing how-to tutorials and take the time to give people different formats to consume it in, you produce pillar content. There’s no secret, it’s just hard work. 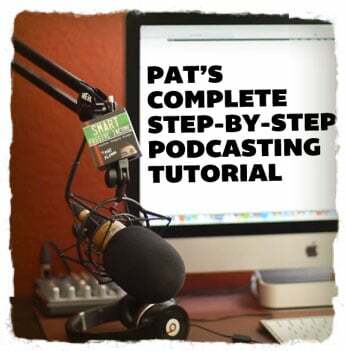 Pat’s post includes an article, lists, links to resources in lists, and SIX videos – it’s a mini-course that Pat could certainly have charged for. Even without PDF downloads of each video or podcast only MP3s, it still hits the mark and definitely is a pillar article looking at how many people have shared it (and here I am linking to it as well for probably the third time in my blog). What is a Podcast and How Can I Use One? You probably can’t tell because social media wasn’t around when I wrote it, but that article was and still is a pillar for Yaro.blog, bringing in lots of links and search traffic for years after it was published. It still ranks on the first page in Google, at least for me in Australia, for the phrase “what is a podcast“, which has been one of the top 5 referring search phrases in my traffic statistics for years. If you want to do a compare and contrast, as Pat states in his podcast post, his article and videos took over 30 hours to produce. My article on what is a podcast took less than two hours to write, edit and publish. They are seven years apart in publication and it’s pretty clear Pat’s article has way more value than mine, yet all those years ago that’s all I had to do for a pillar effect. Of course, if I published my podcast article today it wouldn’t have nearly the same impact. It wouldn’t rank as well, it wouldn’t pull in much traffic because most people know what a podcast is today and it only features one learning modality, written text. In short, I strongly doubt it would be a pillar. Today, you have to work harder and deliver more value, just as Pat did, if you want the pillar effect. If you put in the effort to distribute in all formats you reach and impact more people. You also get the benefit of making it easier to share you content and do so using many of the great social tools and sites we have today. Distribution options are countless, and you never know how other people use the web, so make it easier for them by giving every format you can. Don’t forget beyond what I already mentioned, written text, PDF download, audio MP3 download and podcast, video download and streaming video, there is also the recorded webinar and teleconference format and other newer tools like Google+ Hangouts, which can be streamed live, recorded and then published in all the different modalities. Not all blogs are teaching tools. Many of the biggest blogs are purely news and entertainment sources. For these blogs, content frequency and recency is most important. One of the best new content concepts I have seen for the news style blog, which can be used by any blogger, is what I call the Content Portal Page. These are almost like blogs within blogs to cover a specific topic. There is a central page that collates all the information, usually presented in chronological order. 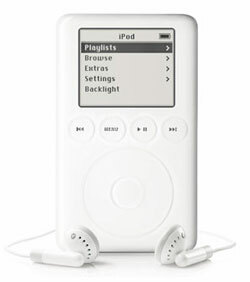 The page itself contains content updates using all formats, video, audio and text. The page also links to more articles within the same site about the same subject. These types of portal pages usually develop when a major issue hits. They are topical for a week or two at most and keep people up to date as things uravel. That doesn’t mean you have to create these only for hot news when it happens. This concept can work any time you have a lot of different information about a certain subject. Here in Australia the only two news sites I frequent are News.com.au and BrisbaneTimes.com.au, since I live in Brisbane. These are mainstream news site run by News Limited and Fairfax Media, the largest media agencies in Australia. They are not blogs, although they do have some blog columns within. Two years ago Brisbane had a major flood. It was the biggest flood in over 30 years and the first to hit with the internet and social media to cover it. Note the big white space at the top was where the latest news video and previous video coverage links appeared when the news was current. When the coverage was live, this page had rolling time-stamped coverage presented top to bottom in chronological order, just as it happened. You could literally keep your browser on this page and every few minutes something new would pop up. Right now as I type this, tech news site The Verge has what they call a “Hub” page for their coverage of CES, the big Consumer Electronics Show in the USA. CNET has a special coverage page just for CES too. These are two, of many such pages, that exist to collate all the information about one big event as it happens. A content portal page. You might even look to my How You Can Start Page here on Yaro.blog an example of this format, although it’s not dynamically updated, it’s more like a library set in a specific order. The nature of this technique – combining a hot topic with lots of different media and content all collected in one constantly updated page – makes for a potentially huge pillar effect. For an individual blogger, this may be too much content to produce, unless you happen to be at the event as it happens. However if you are running a news style blog, especially if you have multiple writers, or even if you think you can pump out ten or twenty pieces of content about a specific subject in a couple of weeks, and keep people anticipating the next release, it might be an option for you. Is This All Too Much Work? I can hear you groaning now. All of this is just too hard. Too much work. It’s tough enough just keep up with the basics like writing a blog, let alone mastering and publishing podcasts, videos, content portals and producing all kinds of different media (and let’s not forget keeping social media updated too!). In my experience, it’s important you become very good at one thing. Pick one format, video or podcasting or writing, and put in the time and practice to develop a skill. From there, leverage other people or quick and cheap methods to offer other formats. At the very least, try and work in one extra content modality into your posts. Write an article and do a quick talking head video reviewing the same content. If you have an outsourced transcriber, you could get them to make a downloadable PDF to go with it, including pictures. Or a video editor could make a quick slide show version of your content to use as a video. One thing I can tell you with the benefit of hindsight, is you get better and quicker the longer you practice, as does technology. This means you can get more done in less time, which opens up the door for dabbling in other content formats. It’s fun too, so if you keep an open mind and keep practicing, you might surprise yourself with what you can create. As your business grows you will reach the point where you can quit any jobs you have that are not part of your business. This will give you more time to skill-up in different formats to help you produce better content. Setting up systems and income streams that don’t require much ongoing maintenance once established also helps, because you can dabble in new content formats and put in more effort, without the pressure of needing income from it straight away. What you mustn’t do is let the pursuit of perfection stop you. It’s okay if you don’t do video or audio or have transcripts for everything you produce. Become really good at writing and perhaps start with improving your work by including more amazing pictures as step one. Don’t stress too much about this – you can build a platform by being good with just one medium. Build your skills as you build your platform, focus on output rather than perfection and enjoy the learning process. It’s more important to press publish than anything else. And with that in mind, that’s exactly what I am going to do now. Good luck with your pillar articles. P.S. The video below is an example of producing content that is “quick and cheap”. My Yaro.TV daily videos take less than 15 minutes to shoot and upload. I use my VADO HD pocket camera, press record, talk it out, transfer the file to my computer, upload it to YouTube and share it via social media. Done. I like the concept of infographic. This is something new from traditional images. Traditional images can’t do the things which an infographic can do. Since hearing about your pillar articles some time ago, I’ve been meaning to create my own top lists for some time now and even have a list of top lists to put out! I would be particularly interested to know if creating pillar articles was one of your main strategies when you started out and what would you do now, in terms of pillar articles, if you were to start all over? thanks for this refreshing article! I’ve been spending the last 2 months working on an information product, and I’ve been missing the simple pleasure of blogging! Many great ideas in your article. I was about to publish a new “how to” post, but after reading your article, I decided to add to it an mp3 recording of me reading the article and a pdf of quotes and pictures related to the subject. The infographic format also got my interest… I’m going to try to see how to work this one out for future post.. I find that negative-titled pillar articles work well, like the one about the 50 worst music videos. Us as humans become more interested in the negative thing that is put in our faces compared to a more positive-like title. You can see this with the whole- dare I say it: Kony 2012 situation. The video was made in a way to emotionally affect people, it was negative. People wanted to help, etc – so they shared. Positive is always good as well, though 😉 great post Yaro. I have followed your blog for a while, but this is my first comment here! I wish I had of started a blog and growing a following back when you did. I agree with you, it was way easier back in say 2005/2006 to create a following online. The competition we now face is not only higher, but more hungry too. I did become a very succesful affiliate, so I am looking forward to the challenge of growing a blog out to help people do what I already have done. Keep up the great work mate, you rock. Hi Thomas, I coined the phrase “pillar article”, which I believe if you check with Rich he actually started calling it after reading my blog. However no doubt Rich and Jay, and writers and teachers before them, have taught what good content is covering the same ideas, I just applied the word “pillar” as my label when teaching it in relation to blogs and it caught on. I was stupid to not to attention to your blog a couple of year ago though all bloggers was talking about you but I corrected my mistake now. Got myself subscribed on your mailing list as well as finishing reading ‘Blog Profits Blueprints’. You rocks!! Yes, Pillar articles are one of the best method to go viral and build audience as well as huge traffic. This post given more insights about writing pillar content. What I liked is writing long and ‘How-To’ articles; it really benefits. Pat’s guide to podcast is best example for that. Thanks Yaro for creating such a huge quality content on regular basis. Great post! Time for me to plan out some pillar content then I guess!! 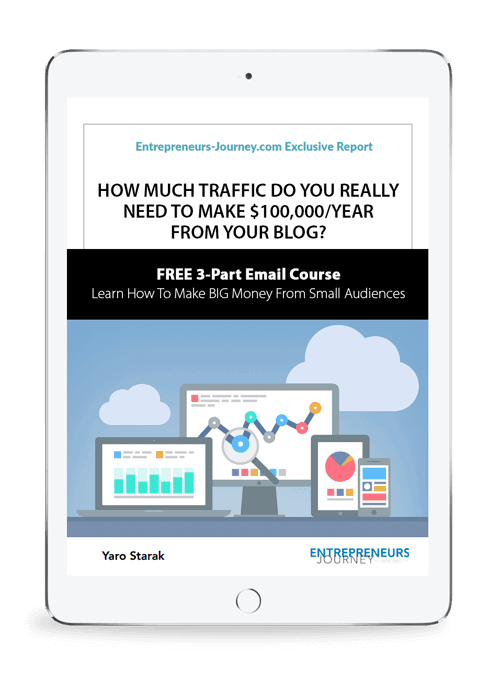 I have done a couple of list items in the past and they have continued to get me traffic to this day but I have never really thought about doing a full on pillar article. Guess it’s time to get my thinking cap on and get it created in multiple modalities as well then! 🙂 Thanks again for the great post! Well hello Yaro, love the fact that the most popular format is still the one that most people are familiar with, The Mega how to. Creating an effective cross purposing content process is something that I really must nail soon and of course start doing it! This is such a great article; especially because “pillar content” is more important than ever these days! After all, you can no longer just throw a bunch of links online and expect to be able to “trick” search engines into ranking you highly. Instead, you need others to share your content – and “pillar content” is the way to go. Wow Yaro! This blogpost itself IS the new standard for Pillar Article. Thanks for providing so much value here. I’ve always looked to your blog as THE standard for bloggers, and now you have raised the bar to a whole new level. As soon as I saw the words “Mega how to” I knew you were going to link to Pat Flynn! Great advice as usual. Could you give any advice for a blog writer who writes about a ‘taboo’ topic which isn’t ideal to talk about and share on facebook etc. Is it still possible to rank well without a lot of sharing and likes going down? Today people want quicker things, so wont 10 work better than 100? One of your old Blog Mastermind students here. 🙂 I love all the multimedia options we have now for blogging. The internet is like a giant buffet. I’ve backed down on the frequency of my posting as I’m building content offline, but I’m also in this for the long game, too. The purpose of my blogging has changed over the years anyway. Such is life, right? So, thank you, Yaro, for helping me find the blogging tools to enjoy this creative outlet and a way to meet up with horse lovers from around the world. You said well, it’s hard work. It amazes me the precision you made in writing it and linking all the things inside like a soup. You still have the quality of a leader. Since I just started my blog, I definitely need to follow your advice and implement the multiple media platforms. I also think that the Mega Lists and Infographics are outstanding ideas! And then there is those lucky ones who can draw and tell stories with them, like The Oatmeal. I subscribe to your emails and must admit I don’t often have time to read them but was very interested in this topic and have learned quite a bit. My website is little over a year old but is growing and the importance of good content is clear to me. However, as you mentioned above, “images” too. In fact my readers are mainly at my site for the images and some of the inspiration I share. There is an old saying “a picture paints a thousand words” and I believe this especially in the world of advertising. I am now starting to make an income from my blog which is really encouraging to me and I believe it is through the style and design not just the content. I know a lot of people drop by my blog to see whats new on their coffee or lunch break so I like to make it a lovely, visual experience for them. Like my latest post “A Dream Wedding”. I will definitely read more of your posts, I found this one very helpful and intend to implement some of the things I have learned. Awesome post Yaro. I am definitely one of those readers who skipped the video and went straight to the text–that gave me a chuckle. Thank you for your time and energy to share this information. Since I love doing all the creative work for my business–I am heading straight for the info graphic. I never knew what these images were called but have noticed an increase in their popularity within the past 6-8 months in my FB & Pinterest feeds which is filled with content from people in my industry (wellness & the metaphysical.) Now, I understand why. Thank you! Reading through the entire article was too much work! I thought by the end of reading this article my traffic would start flowing in 🙂 Heh! Thanks for the hint on infogr.am Yaro. Have a great day! Thanks Yaro for the reminder/guide: top-list, infographics and how-to. And certainly, after reading your post, I’d definitely try to include one extra form of content to cater to other “learning modalities”. Always such great information! I have read about your pillar articles before but this was a good reminder. I need to do more list and how to posts. I also needed to be reminded of the multi-media aspect. I have to say Yaro (and I swear I’m not just buttering you up!) that with your looks, that great voice and super personality, I’m surprised you didn’t go into acting. I just had to finally say it! Thank you Yaro I really enjoyed this post. In particular I loved your video comment about strong opinions. This is something I relate to because when I started online I was trying to please as many people as possible. Part of the motivation for this attitude was to build relationships with other markets. And quickly learned that I need some people to really like my opinions and others to not really care about them at all. It’s either sweltering heat at 101 or the big freeze at -10! It can be a little scary putting your work out there for people to love and hate. It’s so easy for me to take criticism as “you are no good” instead of seeing it as an opportunity to ignore and grow from the experience. Thank you for this incredibly useful post! It is packed with so much great advice that I can’t wait to begin. I especially liked the part about the different learning formats, that is a really valid point that more people should consider. Great points again on pillar articles. Tasks for digital marketers especially bloggers are growing every day like a jet. True, it’s time to make a bigger list posts – like you said – top 50 or top 100. No doubt list posts are doing very well. One more thing that I am noticing is the category – simply make the category bigger and bigger – Google will give you some extra preferences. Thanks for adding to my list of ideas and adding more work for me :). I have recently changed my content creation strategy to implement a lot of the suggestions you mentioned in this post. I am now focusing more and more on creating high quality content that will get a lot of interaction opposed to pumping out more content. I think putting out less content for higher quality and time invested content is the way to go, now more than ever. ‘Pillar Content’ is the only way to stand out in today’s noisy environment. People love to read. They love to share. And if your content is more entertaining and more informative than others – then you’re gonna get greater sharing privileges. What a great article, Yaro. The pillar article is my favorite concept by you so far, and it’s one worth mastering. It’s great to see a refreshing, updated version of this technique, since things have obviously changed quite a lot and it’s harder to get attention now. But it can still be done, and massive buzz and traffic can still be achieved. Once mastered this concept/technique can still, even in today’s world, build a solid foundation for a successful blog, I’m a firm believer in that. its really nice to learn great concept like this. actually i will try it on my blog. is there balance percentage of pillar post and regular post? Another good article. Lays out some good options for creating pillar articles and great content. I like the infographic concept and you’re right, this is very popular right now. I wonder what’s around the corner, any thoughts? Hello Yaro… many thanks for sharing this wonderful article… As a newbie i am thankful to you for all these wonderful articles as they are great learning curve for me and helps me a lot… I m surely looking forward to use the information u shared in this post and make my blog better… Keep up the good work… I am very thankful to u for sharing all your knowledge with us.. So many great ideas in this piece of…content! Since starting my Internet adventure I always knew content was important. Your website is one of the first I learned that from. As always, thank you for the great work and I will continue to refer to this in the coming months when building pillar content. I usually just stick with the basics of making a video, doing keyword research, and focusing on that keyword. It seemed to serve me well in the past when I am still building up my page value but had attracted so much attention by search engines I actually temporarily ranked on page one for the keyword “Passive income” so I must be doing something right, eh? This is an amazing guide on Pillar Article. I agree that it’s now has become quite difficult to create pillar effect due to over-crowded internet so it’s not enough to write content using basic text-only formats. Thank you for sharing this detailed guide on creating Pillar Content, I am going to follow all the above mentioned tips.